A few years ago, the “warm blob” — a huge area of abnormally warm water that spanned from southern California to Alaska — triggered a harmful algal bloom that closed Dungeness-crab and razor-clam fisheries along the West Coast, contributed to sea lion pup deaths and dramatically decreased the productivity of fish populations. It made it clear that our ocean is changing, and we have to be prepared. Next week, the Pacific Fishery Management Council is meeting in Seattle to discuss the threat of climate change to one of the most diverse wild fisheries on the planet. In a national political climate that often denies climate change, the Pacific Council is committed to understanding these changes and the risks they pose to our fish and our fishermen. Climate change has far-reaching, interrelated impacts on the ocean. For example, the increase in global air temperatures means changes in local weather and precipitation patterns. That in turn alters flow rates and water temperatures in local streams. And that impacts the ability of salmon to survive their journey to the open ocean. Once there, they face new changes that challenge their ability to find food. It’s not just salmon that are seeing dramatic shifts in location and type of fisheries, scientists and fishermen are reporting fish species moving out of historic fishing grounds toward deeper and colder waters. These changes are already happening on the West Coast. The communities and local economies built on the bounty of our ocean must adapt. And this is where the Pacific Council has a critical role to play in safeguarding target fisheries as well as habitat and protected species such as orcas. 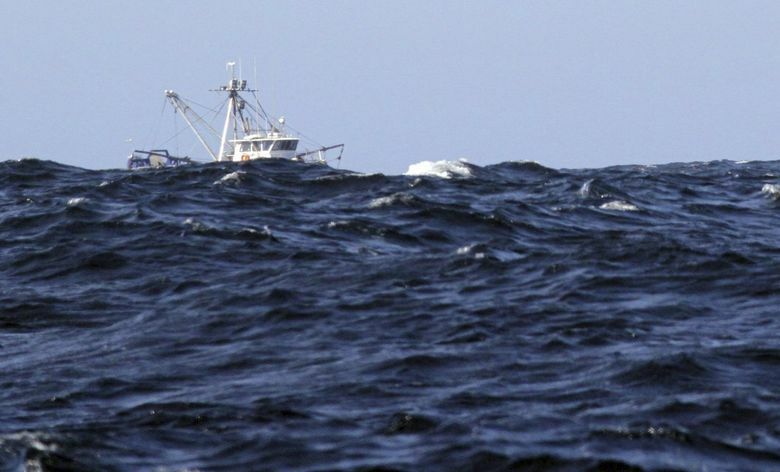 One of eight regional fishery management councils, the Pacific Council has jurisdiction over the 317,690 square mile “economic zone” off Washington, Oregon and California. Moving from science to action is never easy, especially when we don’t have a full picture of how climate change is impacting our ocean, and we have a complex and political system of managing fisheries to contend with. It’s a tough challenge but not an impossible quest for a region that took the difficult steps necessary to implement science-based management, recover our fish stocks and build sustainable fisheries for the future. We have seen the results of working in partnership with fishermen, businesses and communities. Today, climate change poses a real threat to these hard-won successes. The future of our fisheries depends on our ability to adapt to these new uncertainties by creating efficient, responsive and timely management systems that can meet the needs of fisherman and the ecosystem. The Pacific Council already has taken steps toward incorporating climate change in its decisions. It has protected small forage fish that feed larger species like salmon and rockfish, and developed a Fishery Ecosystem Plan. In the ways that matter, we have a council that is poised to deliver on addressing climate impacts on fisheries this September. The council will be considering not just the impact of climate on the health of our fish populations, but also the subsequent effects those changing conditions have on our fishermen and their communities. The goal is to identify ways to monitor and anticipate those changes, and then find ways to adapt to ensure sustainable fisheries management. It’s a big task, but with good planning, it’s the sum of many small steps. We need to support this effort in bringing solutions to the larger climate conversation. Now more than ever, we need to understand the natural world we live in, and our relationship to it. Let us not squander any opportunity to protect our fish, fishing communities and the health of our ocean. Corey Ridings is a Seattle native and fisheries conservation expert with Ocean Conservancy, a nonprofit environmental advocacy group. She is a former groundfish observer, and is co-chair of the Pacific Fishery Management Council’s Ecosystem Advisory Subpanel.